Older women benefit from screening mammography with the use of tomosynthesis, also known as 3-D mammography. Data from more than 15,000 women who underwent digital mammography was compared with data of more than 20,000 women who were screened with tomosynthesis. While digital mammography performed well in screening older women, tomosynthesis was even better. OAK BROOK, Ill. — Mammography remains an effective method for breast cancer screening in women ages 65 and older, with the addition of a 3-D technique called tomosynthesis improving screening performances even more, according to a study published in the journal Radiology. 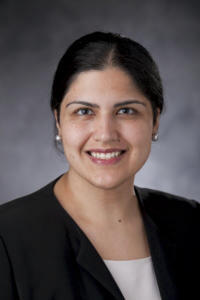 "We've shown that screening mammography performs well in older women, with high cancer detection rates and low false-positives, and that tomosynthesis leads to even better performance than conventional 2-D mammography," said study lead author Manisha Bahl, M.D., M.P.H., radiologist at MGH and assistant professor of radiology at Harvard Medical School. "For example, the abnormal interpretation rate, which is the percentage of women who are called back for additional imaging after a screening mammogram, is lower with tomosynthesis than with conventional 2-D mammography. We also found that fewer cancers detected with tomosynthesis were lymph node-positive, suggesting that we are detecting cancers at an earlier stage. Detecting breast cancers at an early stage is the goal of screening mammography." "Our research demonstrates that screening mammography and tomosynthesis perform well in older women with regard to cancer detection and false-positives," she said. "So, if a woman is healthy and would want her cancer to be treated if it were detected, then she should continue screening."